Announcement Welcome to flat flower designs! Here you will find pressed flower, fern & leaf botanical art prints. Handmade and printed directly from real pressed specimens found in nature. See our botanical greeting cards, blank inside and perfect for any occasion. Contact us with any questions. If you would like more than the quantity shown of any item, simply ask and we'll try to make it available. If you choose to purchase 5 cards or more cards, the price goes down from $3.75 to $3.40 each. We will refund the difference within 24 hours. Fern gift set not included. We are proud to have art sold at The LBJ Presidential Library in Austin, TX, as well as many other fine stores. See full list on our Facebook page. We always refund our buyers if they have paid too much in shipping costs after accounting for our shipping materials. Thank you! If you are the owner/buyer for a retail store & interested in selling our items, please contact us with your name, store name, address, and website via our Etsy shop. All images and artwork are protected by copyright under flat flower designs. Copyright © 2019 flat flower designs, all rights reserved. Welcome to flat flower designs! 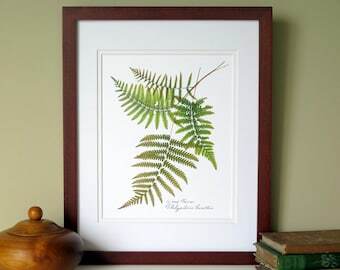 Here you will find pressed flower, fern & leaf botanical art prints. Handmade and printed directly from real pressed specimens found in nature. See our botanical greeting cards, blank inside and perfect for any occasion. Just as it appears! I love it. Colors are lovely. I bought these cards for my daughter's bridal shower. When I saw them online, they were exactly what I was looking for- something tasteful and unique. I am an artist myself, so I'm very particular about handmade items. They arrived quickly, and they are just as pictured- absolutely beautiful. Great customer service also. I'm completely satisfied. I would definitely recommend, and I'd shop here again! Welcome to flat flower designs! Each of our full color botanical prints & cards start from one original with real botanicals. Our originals are kept in safe keeping and are what we use to create our botanical art prints & greeting cards. flat flower designs is the perfect name really. We gather real flowers and other specimens, such as ferns, leaves, etc., and press them flat. That is where things start in creating our printed botanicals. From our originals we create a limited number of prints. All cards are blank inside and have a linen liner for your message along with a matching envelope and are sealed in a clear protective sleeve. Quality paper materials are used. Attention to detail is part of what we are all about. If you are not completely satisfied, we will be happy to issue a refund after you return your items undamaged. Buyer assumes all shipping charges both ways. Also, please know that the colors of our prints can vary slightly from how they appear in the photos on your screen. All screen resolutions are not the same. We accept credit cards, Paypal & Etsy gift cards. It's easy to sign up & use. If you live in Texas, please know that you will be charged a state sales tax of 8.25%. We ship Priority and 1st Class US mail from Austin, TX in one to three days after you place your order & make payment. We sometimes use UPS depending on the situation. We ship your order in sturdy, rigid mailers, usually with extra stiff cardboard to keep your items safe and protected. We also gift wrap everything for free! Framed orders will always arrive in a strong box with extra protective corners. We ship to Canada via 1st Class US mail only. Sorry, no priority or express. If you are the owner or buyer for a retail store and interested in selling our items, please email us with your name, store name, address, and website at info [!at] flatflowerbotanicals.com or contact us here through our Etsy shop.